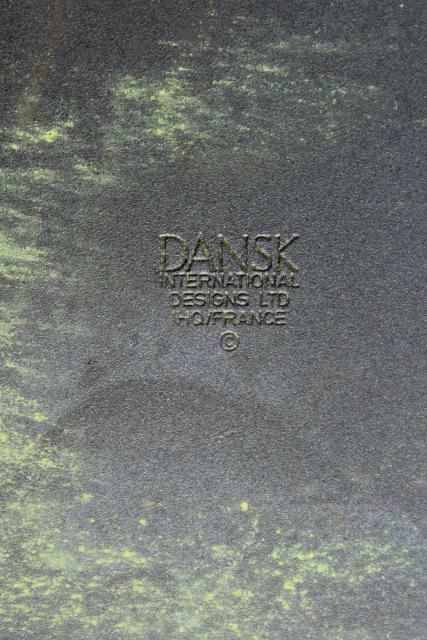 Vintage - used but nice - Dansk Kobenstyle pan, made in France. 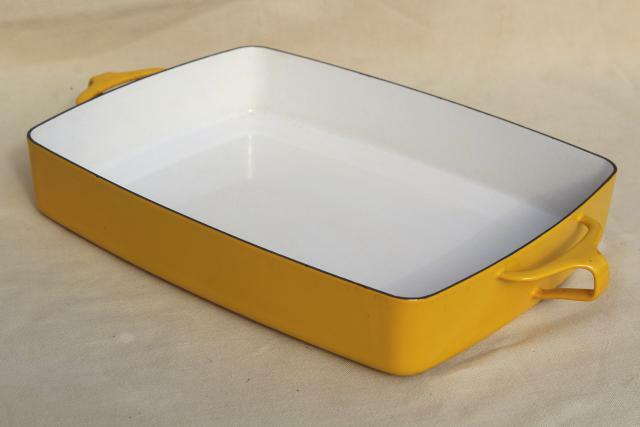 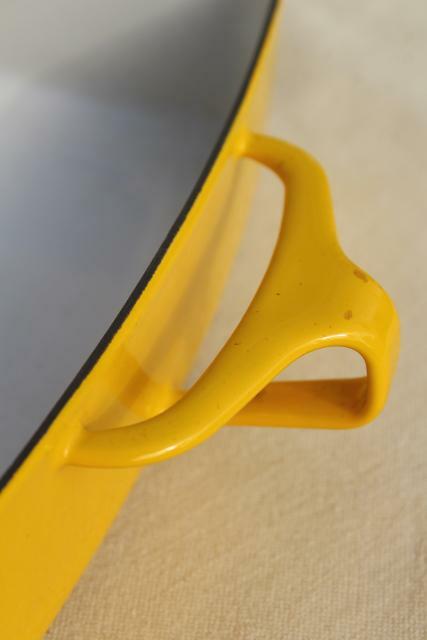 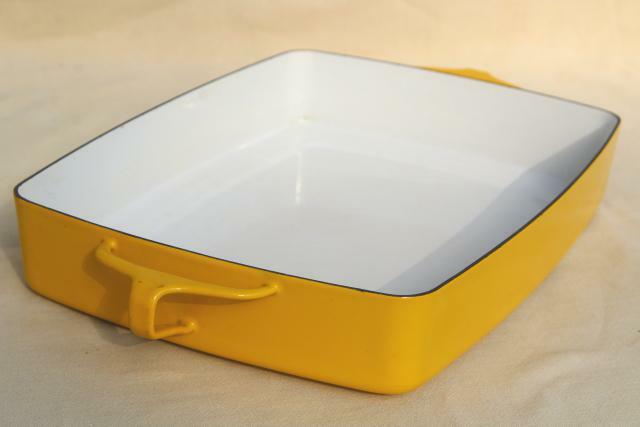 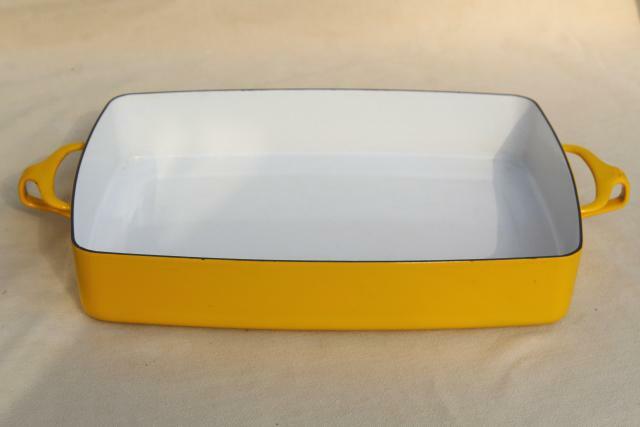 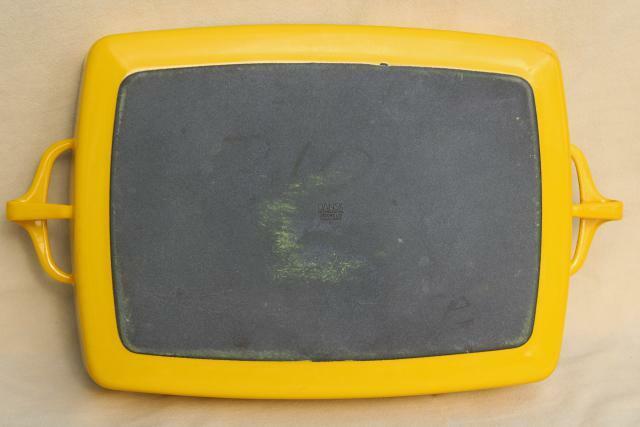 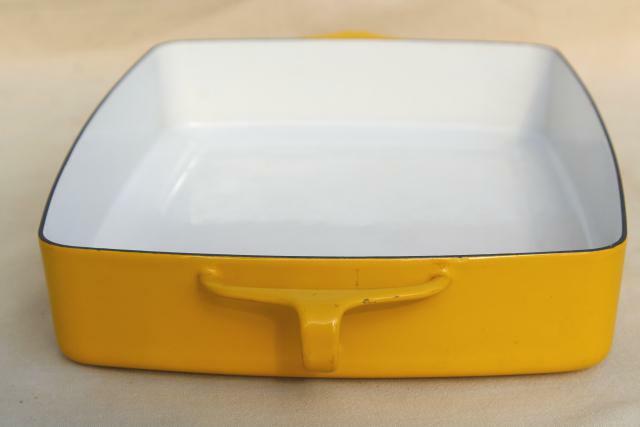 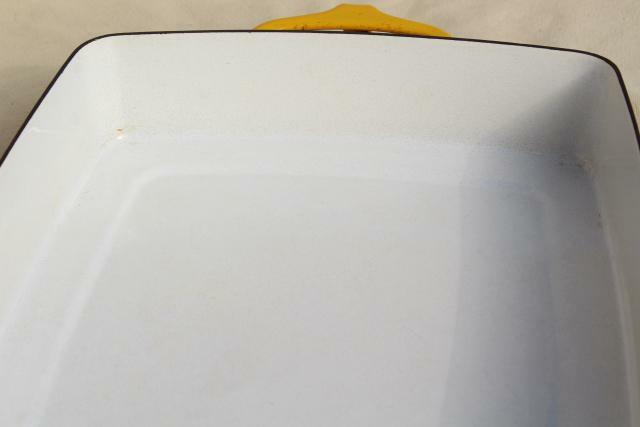 This is the yellow and white enameled steel, heavy, beautifully made. 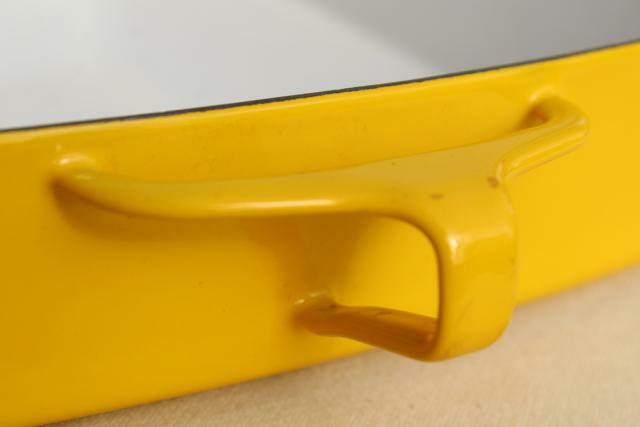 It measures about 16" long across the handles, pan area about 9 3/4" x 13". 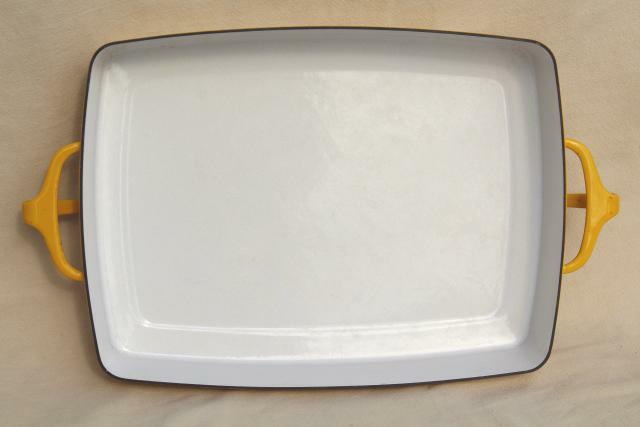 It's clean without staining, heavy wear or scratching - but it does show a little use.